The story takes place in the early part of the 20th century, a time of (for some), glamour and newly found freedom, particularly women. A specially built set was recreated in North London to capture the shop as it would have looked in the first part of the 1900’s. 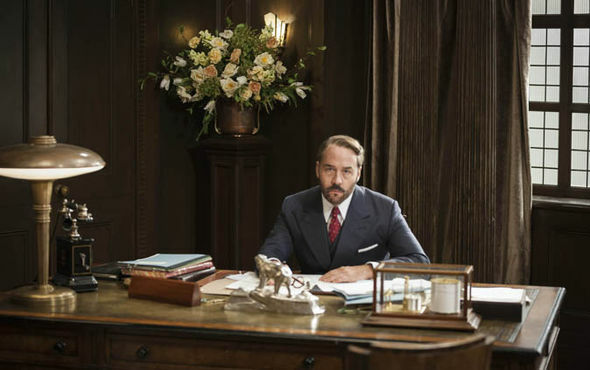 In Mr. Selfridge’s office you might have noticed a rather admirable looking object adorning his desk. 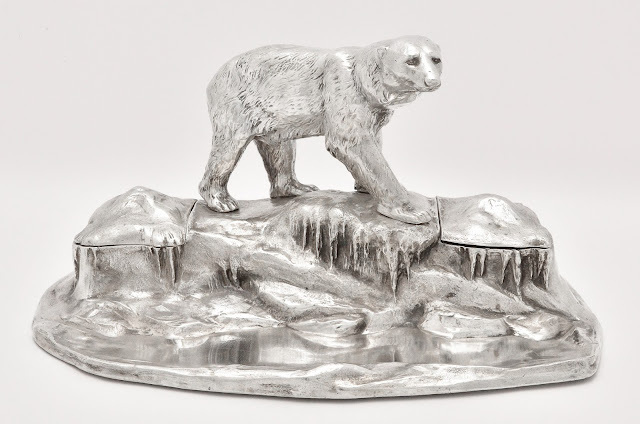 That object was a rather impressive silver bear, which took pride of place. Last week the final episode of the series was aired so I thought I should give our little star a mention, as he has now returned to our shop. The item in question is a lovely silver plated ink well. It is a model of a polar bear standing on the rocks and he is quite an impressive fellow. He bears (pardon the pun) an import mark and he is ca. 1930. We reckon he is just the type of thing that a powerful businessman might have on his desk. I mean, what else is much more powerful than a polar bear? Certainly a symbol of might. Though few have need of an ink well these days, he is so eye-catching, he still deserves to be displayed proudly on someone's desk. At the moment I have him on display in my shop cabinet where he sits alongside another, equally lovely, example of fun and functionality, a seal on a rock. Both of these are charming objects and I am confident that they will soon find a home. Until that day comes I am more than happy to have them share my space.